Step one, choose your chocolate. Mine was Milk. up to 5 toppings. I’m going to tell you the toppings I chose, but let’s just say I went “safe”: Cranberries, Toffee Bits, and Caramel Bits. The options of toppings will absolutely surprise you! I’m not telling you the other options because you just wouldn’t believe me! As you choose the toppings they will appear on your virtual chocolate. to get that specially made candy bar sent to you or someone you love! I thought it was so cute that it came with the “bite” taken out of the left corner. The back of the wrapping has your toppings listed, which I think is spectacularly ingenious for 2 reasons. 1) you can make sure it’s the bar you ordered and 2) you can remember what you got where you got it and make ordering easier next time. I pulled that baby out of the packaging and dug in to chocolately goodness. I’m extremely particular about my milk chocolate. I’m not a fan of dark chocolate because I ♥ my milk chocolate so. This bar was melt in your mouth yumminess. I started chomping on it so quickly, I didn’t notice the bar was sectioned on the other side so I could eat it like a lady and not like someone who’s tasting their first chocolate bar. Thankfully I turned it over, eventually, and realize I could just eat a large square at my leisure. The CHOCbite is a thick bar and should be eaten over time to stave off a belly ache. It’s really not your convenience store type of chocolate bar! A large glass of milk with each square oughta do you. Let me say for the record, I wish I would’ve stretched myself and gotten some of the other less tame toppings. Watch the following video to see why CHOCbite was started and get an idea of some of the other flavors. One feature that I think would be awesome is to have a mixed bag of chocolate “bits” where you can have a sampling of different topped chocolate. The options are limitless and are as big as your imagination! CHOCbite would be great for everyday life, but also awesome for a gift. Creating a CHOCbite for someone will definitely show them how well you know their tastes. This would be a great graduation gift or for Father’s Day, Mother’s Day, Valentines, Thinking of You, Birthday, etc. I certainly know this would help me “Get Well Soon”! LOL I think during my daughter’s finals next year, I’ll have one of these bars sent to her. Here’s your opportunity to create your very own CHOCbite and have it shipped free! If you're wondering why the number of entries at Random.org isn't the same as the number of comments below it's because the required entry wasn't done on several. Sorry. I work with the companies when the required entry is created and it needs to be done correctly. I tried to highlight the important information so that it was noticable. SORRY! Required: Tweet your CHOCbite bar design using @chocbite and leave a comment with the link to the Tweet. This is different than the Tweet below!! This MUST be Tweeted to count as the REQUIRED entry!! Please be sure you understand the REQUIRED entry, if not, drop me an email and I will explain it in more detail. Tweet on good people. WAIT in case you don't have a Twitter account, you can email 3 people about this giveaway and BCC me the email. I know not everyone is connected on Twitter so that shouldn't stop you from being able to enter! Giveaway open to all US and Canadian Residents 18 yrs and older. Please leave your email address or have it available in your profile. No email/contact = No entry. REMINDER, if you put your email in the first entry, you don't have to repeat it in the extras, unless of course you want to. Giveaway ends 6/7, 10pm CDT. 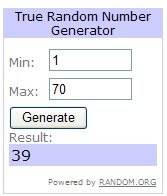 Winner has 48 hours to respond to winning email. Tweet this giveaway (1 entry daily) “Win a customized Chocolate Bar from @chocbite #giveaway You can select your chocolate & up to 5 toppings! Scrumptious! http://bit.ly/b46ySM"
Purchase a CHOCbite candy bar & use the 20% off code above (5 entries, comment 5x) will need to be verified. I’d like to thank Business2Blogger for connecting me with Adeline from CHOCbite. This chocolate bar was sent for review and I was not paid for my review. My experience is completely my own and may not reflect your experience. 1 entry - Milk Chocolate, Creme De Menthe pieces, Crisped Rice, Mini M&M's, Rubber Ducky's (because they are so darn cute!! ), and Books (because I love books!!). They look so yummy and I bet they make wonderful gifts. I love Business2Blogger! My custom bar design is for a milk chocolate bar with peppermint candy flakes, whole raw almonds, and a dog print. @chocbite I love the White with banana chips and heath CHOCbite bar! My Chocbite design included caramel bits, mini robin eggs, reese's pieces and roasted salted peanuts. Dark chocolate with pecans, reese's and caramel. mango, goji, and espresso on dark! I'm following chocbite on twitter giveawayjunkie. My bar will be dark chocolate and 5 toppings: espresso, crystallized ginger, poppy seeds, dried lime, and spicy pineapple!